This remake of the classic game that originally launched in 2000 contains all of the elements that distinguish the successful Cossacks games and combines them with contemporary 3D-graphics. Cossacks 3 provides the player with infinite tactical options, including not only the construction of buildings, the production of raw materials, but also the broad selection of various units and the influence of the landscape. 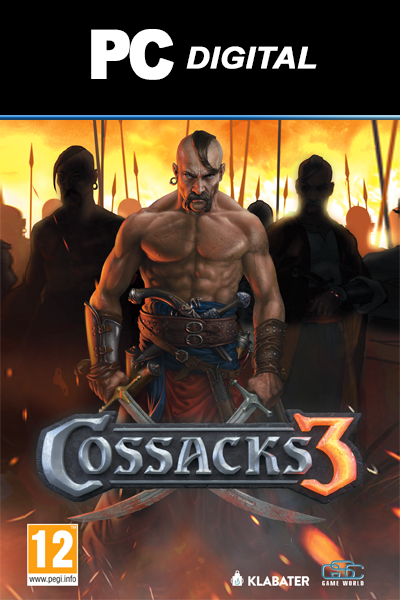 To order Cossacks 3 we have kept as simple as possible. Within minutes you will have your desired game in your home. All you have to do is fill in your details, select a payment method and complete the payment. It's as easy as that! The code will appear directly below your screen and sent within minutes to your address so you have a copy. How to buy Cossacks 3 PC? Livecards.co.uk makes buying Cossacks 3 PC as easy as pie! All you need to do is fill in your email address, pick a payment method, complete the payment and voila! The code is yours.